Welcome to Day #5 of Chocolate and Flowers Theme Week. 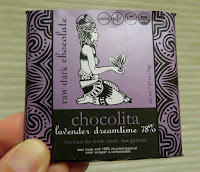 Today's Lavender Dreamtime 78% raw dark chocolate bar was made by Chocolita (Sedona, AZ). 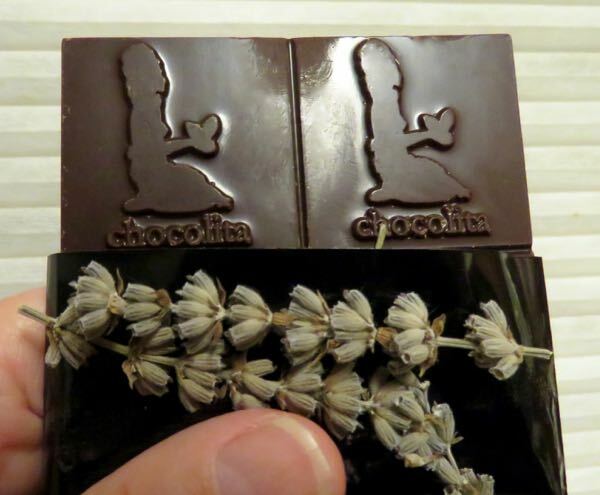 The company specializes in eco-friendly, exotic chocolate products. 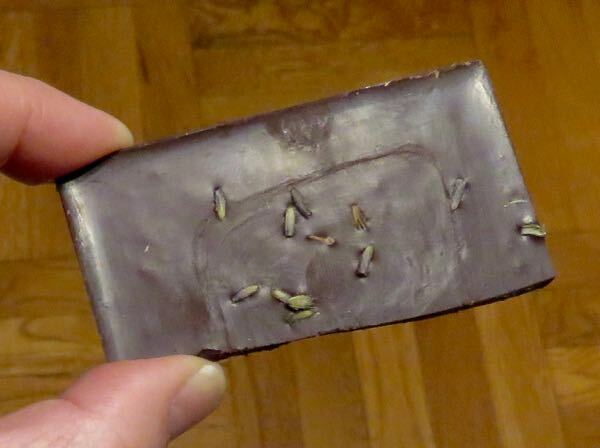 This gluten-free, paleo bar was made with heirloom fair trade cacao, and had a slightly bitter medicinal aroma atop a dollop of lavender fragrance. 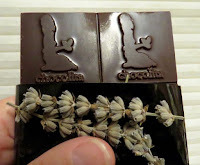 The chocolate had a buttery melt and true lavender and smooth dark chocolate flavor. 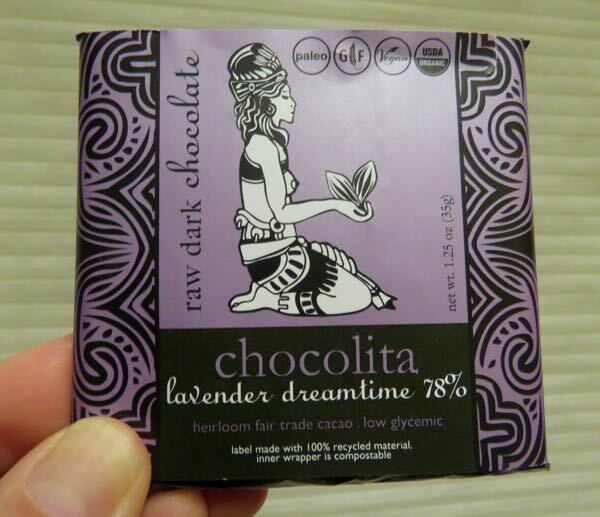 Some people find lavender to be both relaxing and invigorating. We're told today that "you'd never know there is also gotu kola and mugwort added to assist is more vivid and memorable dreams. Let lavender carry you towards relaxation and restful slumber." I did sleep well after eating this bar.